Ten Thousand Coffees is a platform that connects mentors and mentees. Five years ago, with oil prices pushing US$100 a barrel, undergraduates at the University of Calgary’s Schulich School of Engineering were heading straight from the classroom into lucrative oil patch jobs. That all changed abruptly in 2015, when oil prices tanked. Postgrad employment rates then plunged, too, from well over 80 per cent for many disciplines to as low as 22 per cent for geomatics engineers and in the 40- to 50-per-cent range for chemical and civil engineers. But the lucky students still landing jobs weren’t necessarily those with the highest GPAs. They were often those able to work their soft skills: networking, relationship building, critical thinking. Both schools hope the answer can be found in part in a new partnership with Royal Bank of Canada called RBC Future Launch. Beginning on Sept. 17, the University of Calgary, McGill, and five other universities and colleges nationwide will participate in Phase One of the partnership. It will focus on a rollout of a made-in-Canada networking and mentoring platform called Ten Thousand Coffees. 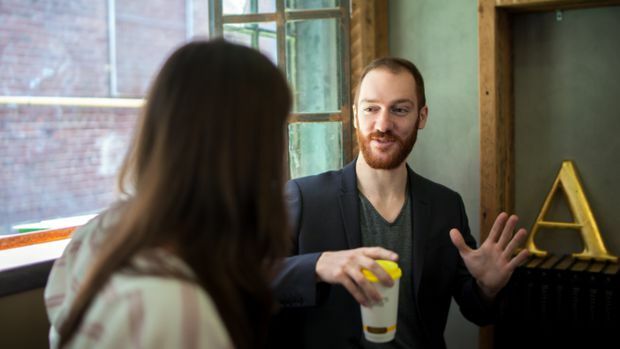 Developed by Toronto-based marketer and entrepreneur Dave Wilkin and launched in 2014, Ten Thousand Coffees matches mentors and mentees based on career goals, interests and skills. The matched pairs meet over coffee, either in person or online. It has been adopted by more than 200 organizations internationally – including RBC, which uses it to foster networks across teams, departments and staff in different parts of the country. The platform connects established alumni, who have volunteered to act as mentors, with students and new grads. The connections will be made based on skills and career goals, and the platform will provide mentors and mentees guidance on how to have effective interactions. Business schools or faculties at George Brown College in Toronto, Saint Mary’s University in Halifax, the University of Guelph, the University of Lethbridge and the University of Victoria are also involved in the partnership, as are other faculties at Saint Mary’s, Lethbridge and Victoria. The report urges students to develop soft skills, from critical thinking to intercultural fluency, relevant to a wide range of jobs. The goal is to improve the ease with which students can improve their “mobility potential” – or more bluntly, find new career paths if their old ones are disrupted out of existence. That effort can be especially critical for the international students that Canadian universities, which are increasingly competing for a shrinking pool of domestic students, rely upon. That effort can be especially critical for the international students upon which Canadian universities rely as the pool of domestic students shrinks. At Halifax’s Saint Mary’s University, more than 30 per cent of the student body is drawn from outside Canada. Many of those students, explains Malcolm Butler, vice-president of academic and research, want to stay in the city or country, but their personal networks are just about non-existent. Saint Mary’s has implemented other strategies as well, including a strong focus on experiential learning and a new degree program in intercultural studies.